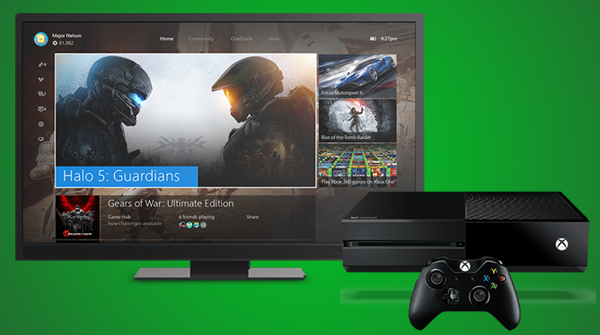 Xbox One owners, skip back approximately three months when we brought you the news that Microsoft was planning a major software overhaul powered by Windows 10 that would see the Xbox One experience greatly improved. If excitement levels were raised by the potential of that reveal, then they are about to hit an all-time high as the company has officially announced that the New Xbox One Experience has begun rolling out as an update globally starting today. There was initial talk back in August focusing on the fact that Microsoft was planning a shake-up of improvements that would involve a huge rollout of Windows 10 across its multiple hardware platforms. The Xbox One was a heavy part of that focus, with a lot of attention being paid to the console during this year’s E3 conference, and the fact that Microsoft seemed hell bent on improving the overall experience that’s received by console owners when interacting with the various aspects of the platform. 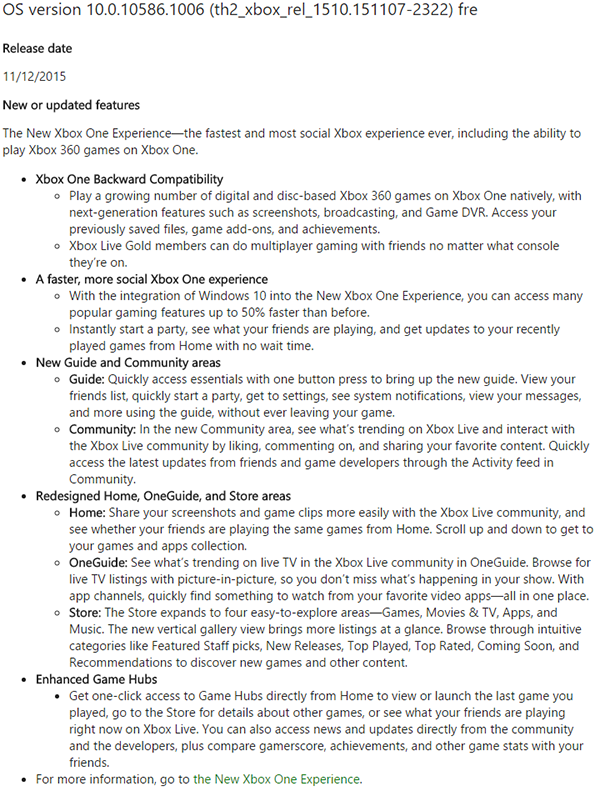 The update carrying the build number “10.0.10586.1006 (th2_xbox_rel_1510.151107-2322) fre” is now rolling out, and users can expect an updated experience that includes the introduction of backwards compatibility for 360 games, as well as a faster, more social experience via the console. 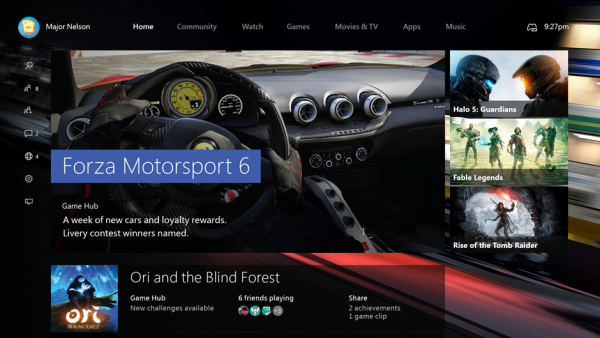 Microsoft’s latest update to the Xbox One ecosystem also brings with it a revamped and redesigned Home, OneGuide, and Store area that is designed to provide more efficient access to the content that a user wants. As is always the case with updates of this nature, not every console owner would have received the update in one large fell swoop. Microsoft is instead rolling out this new update over a period of time that will be obtained by users through varying methods depending on the set up of the console. Device owners who utilize the instant-on power mode will receive the update as part of the background refresh when the console is put into Connected Standby mode. Those who are a little more energy conscious and use the console’s Energy-saving mode will need to manually check through the Settings if an update is available. To check and force update your Xbox One to this major New Xbox One Experience (NXOE) November 2015 update right now, head to Settings – System and select “Update Now”. For more information on the update, check out the complete changelog below, which outlines what changes and improvements you can expect with this particular update when it hits your console. Additionally you can check out the video below to get a good look at what the change would feel like. I got this by manually downloading it, and I have the new menu, but no backwords compatibility…I’ve tried all my 360 games that were on the list of compatible games. Any ideas? Microsoft said backwards compatibility wouldn’t launch until around 12 hours or so after the update was released in your region.